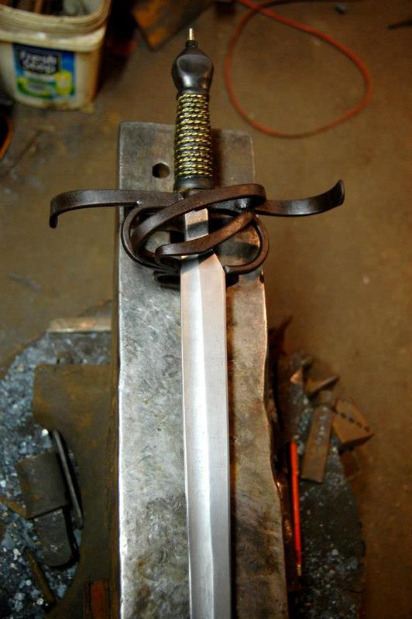 The quintessential sword is the paramount achievement of the blacksmith. 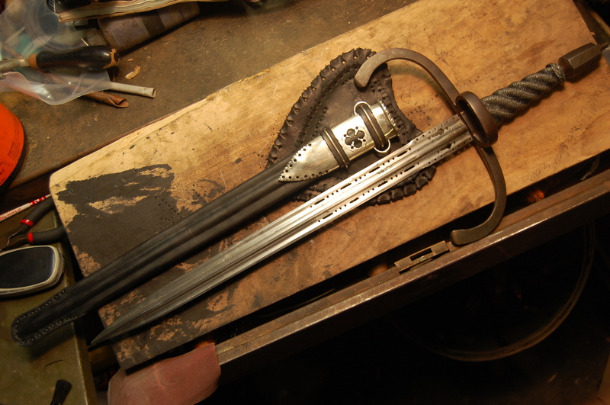 The Sword is the first thing (along with horse shoes) that most people think blacksmiths make, though in actuality Swordsmithing (and for that matter horseshoeing) is a totally separate craft in onto itself. Along with my many other interests swords have always been fascinating to me. 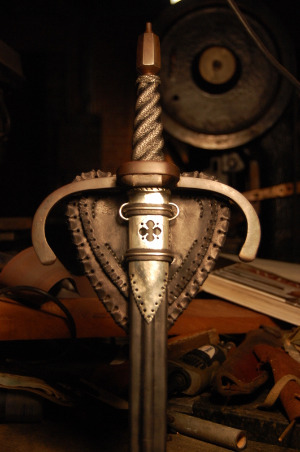 There is a huge amount of science, technical skills, and patience that goes into making a sword - just forging that length of steel for the blade, making all the guards and fittings, the often complex handle and grip arrangements, let alone achieving the correct balance, weight and harmonic nodes to create a functioning thing of deadly beauty. Reenactor or "show" grade, historically accurate and sharp, or for recreation fighting with a non- lethal blade. 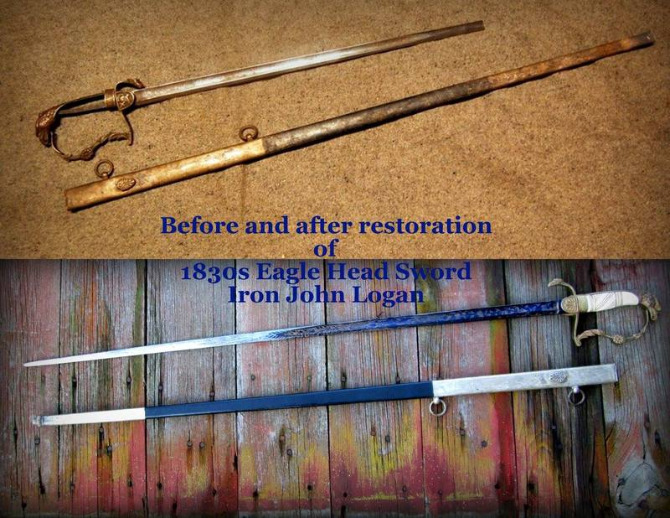 There is also always Restoration of great old Swords! The above Sword is a copy (reproduction) of 16th Century German left hand dagger in the Gothic style. Two blood grooves, center rib, and piercing work on blade. Iron hardware and twisted wire wrapped handle. As what I term one of my "Master Studies" this sword took over 400 hours total of work. 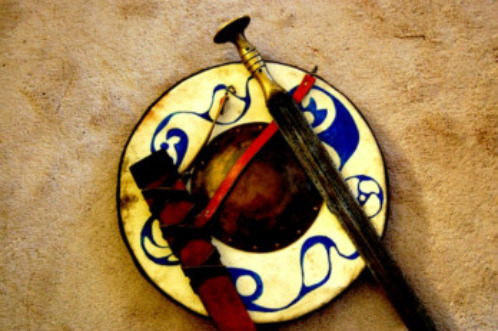 This Sword is a historically accurate copy of La Tène period Celt war sword. 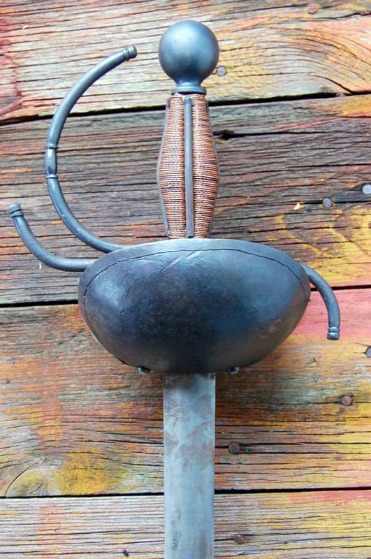 This Sword is a copy (reproduction) of the Spanish 1728 Saber of the Bilbo type.